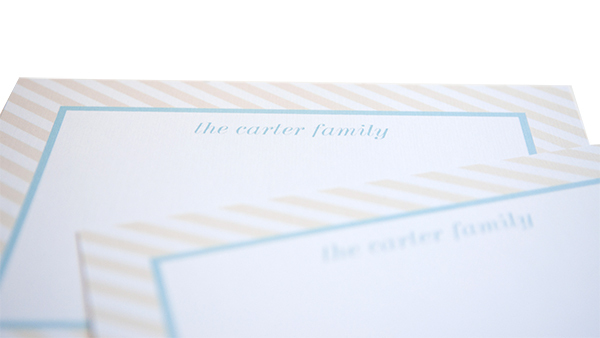 one of my favorite items to design is stationery, so i was very excited when my sister told me she wanted cards for the family! her only request: cream + teal! i took our "chloe" note card and changed the colors! very classic and pretty!